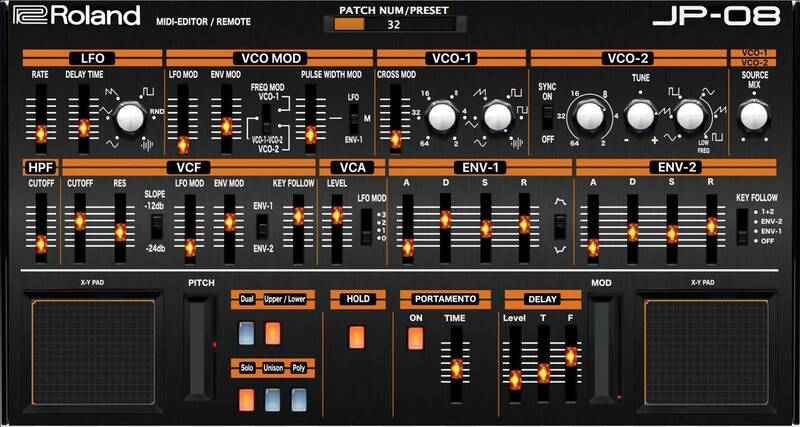 You can select the sound off the JP-08 (Patch Number 11-88 and Patch Presets ). The hidden parameter “Portamento”, „Delay” and “Hold”, can be changed on the “JP-08 Midi Edtior”, which are not present on the JP-08 surface. Please make one for the JX-03 as well. I enjoyed using this.